How StayUncle is changing the traditional way of hotel booking? Have you ever wondered “Why do you need to pay for full day in a hotel if you are staying only for a few hours there”?This is a general problem which every person staying in a hotel faces commonly. Sanchit Sethi, apassionate traveler had the same question for many years and he thought over this issue seriously and finally decided to work himself to solve this concern with the introduction of an online platform StayUncle. What the StayUncle platform does for the people is that it allows people to book hotels for few hours (12 hours shift)breaking the chains of minimum booking of 24 hours that have existed for decades. Sanchit’s story starts from Varanasi, the ancient Indian city, where life’s journey comes to an end for many souls. Many people comes Varanasi as their spiritual destination and talking to people recalls Sanchit about the travelling bug. Sanchit being a student of BITS Pilani, India’s one of the prestigious institute spent four years over there and at the end came out with a degree in Mechanical Engineering and a job offer in Goa. It sounds like the perfect Indian dream come true? But it was not a great deal of Sanchit. Inspired like many of his generation by Steve Jobs, Sanchit’s was dreaming of being an entrepreneur and his life dream was to actually build something long lasting, his own company. 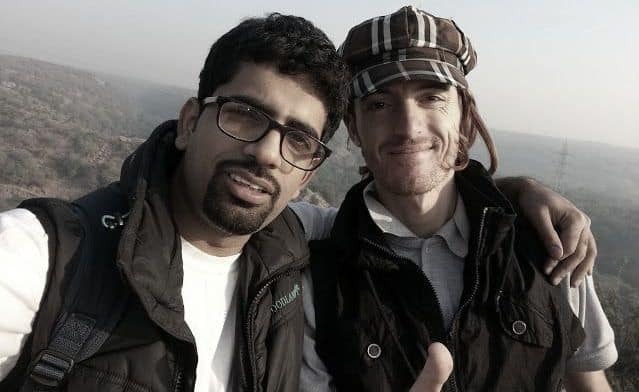 This was when, uninspired by his job Sanchit started travelling more and more. Finally his dream of building a company met his love for travelling. Once an innocuous delay in a flight once led him to pay for a whole day extra at the hotel. This triggered the light-bulb in his head and thus the idea of StayUncle evolved. A start-up based on the idea of paying exactly for the time you spend in a hotel, Next few months saw Sanchit’s move from Goa to Delhi, quits his job, finds his team, and finally start working full time on his start-up and StayUncle was officially started in February 2014. Sanchit, the founder of StayUncle met his mentor, Mr. Shailesh Goyal, an IIM Ahmedabad alumni and a product manager in Intuit, during one of the Lean Startup Bangalore meet-up. Mr Shailesh Goyal has been an advisor to StayUncle ever since and has played a significant role in formation of the company. Other than Sanchit and Shailesh, Neha Agarwal and Blaze Arizanov are also co-founders at StayUncle. Neha is a Software engineer from Dhirubhai Ambani Institute and takes care of the technology side of StayUncle.Blaze Arizanov belongs to Macedonia,south East Europe and has been living in India for the last 4 years.He is a well know digital marketer, author & blogger and takes care of the marketing side of StayUncle. • Unique feature to book hotel rooms through website or phone call. • Payment for 12 hours if the room is booked for 12 hours slot. • Use of Social media and word of mouth promotion. • Next feature coming is the idea to pass the room to other travelers if they don’t need it anymore. • The whole dogma of booking a hotel day wise is being evolved into booking a hotel time wise. • StayUncle currently operates in Delhi and NCR regions and has 30 hotels onboard. The company has served around 150 guests till date. • 2295 fans on Facebook.and Twitter has 457 followers . The company is planning to expand to all metro cities and most pilgrimage sites within India by the end of 2015 and post that the company has working plans on expanding outside India as well. They are currently looking for funding to expand their core team.